Valentine’s Day is here! We are offering a few non-traditional suggestions to help show your loved ones that you care. It is not too late to take part in most of these events! Many local restaurants are offering Valentine’s dinner specials this week at any price point. We have gathered regional activities will make a great addition to a traditional Valentine’s dinner. Whether you are scrambling for some last minute ideas or plan on extending your celebration into the weekend, don’t forget to stop by Fresh Baked this week for the most essential part of any Valentine’s Day celebration, the dessert! There are many different classes on offer this weekend to get your creativity flowing. The Taubman Museum of Art’s “Crayola Hand Lettering” class is the perfect way to step-up your homemade Valentine cards. Try a new hobby with a class on furniture painting at Black Dog Salvage or learn a new art form at The Studio School’s “Beginners Encaustic Class”. These are all greats ways to spend some quality time with a loved one and maybe even discover hidden talents you both can enjoy for years to come. Valentine’s Day is a great time to try something new. Get in character with a murder mystery event hosted by Big Lick Brewing Company on Sunday, February 18. Performed by Step into Mystery, “Valentine to Kill For” is an interactive and immersive mystery experience. Prefer to remain in the audience? The 1980s musical “Heathers” debuts at Showtimers this Friday, February 16. Enjoy this absurd look at the extreme results of teenage love and high school feuds. (Recommended for mature audiences). Feeling the need for peace and quiet this Valentine’s Day? Spend some quality time with your partner this weekend. Stop by Roanoke’s newest independent bookstore, Book No Further, pick out a new book to read, head to your favorite coffee shop or quiet spot, and enjoy some time reading together. Want to do something relaxing but a little more active? Try a Candlelight Partner Yoga class at the Mountain View Center. Valentine’s Day doesn’t only have to be for romantic relationships. Enjoy spending time with the whole family. The Taubman Museum of Art’s exhibition “Play: Toys Re-imagined as Art” closes on Sunday, February 18. This exhibition is especially geared to children and there are any family events going on at the museum this weekend. Are your kids up for a little adventure? Try “Night Howls” at the Mill Mountain Zoo on Thursday, February 15. Learn about nocturnal animals, listen to the wolves howl, and enjoy snacks together. Extend your feelings of love to those around you by serving others in your community. Communication is often said to be the most important part of any relationship. Rethink the way you communicate by taking a class on American Sign Language at the Main Library (across the street from Fresh Baked!). Looking for a larger commitment? Ready to add a pet to your family? Fall in love at PetSmart’s Mega Adoption event to celebrate. National Adoption Weekend. Adoptable animals from Angels of Assisi will be at PetSmart on Franklin Rd. each afternoon February 16-18. Mark Frye is the owner of Creative Occasions and he has been a floral designer for 22 years. His passion for floral design "stems" from a job that he had as a teenager in a flower shop. He delivered flowers, sweep floors, and helped with day to day cleaning. During his time there he realized that he was interested in the work that the floral designers were doing. When he expressed his interest, the owner showed him the basics of design and for many years Mark thought of floral design as a fun hobby. While working in another career and continuing to do florals, someone approached him to do a wedding. 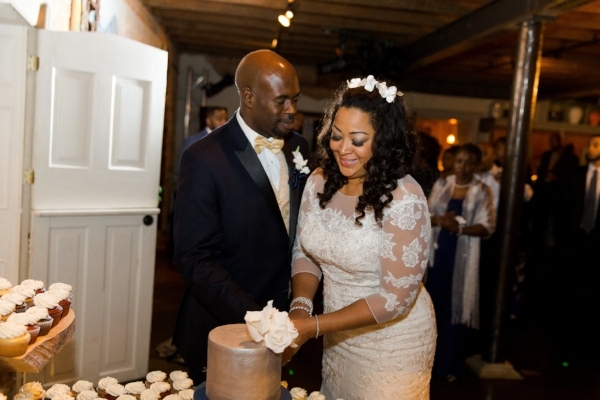 After his first wedding he began receiving personal referrals and his business took off. Creative Occasions is a top-notch floral design business located in downtown Vinton. In addition to floral arrangements, they also offer "all things décor" for events. Creative Occasions began as a home based business 22 years ago but when an opportunity arose to purchase an established flower shop, Mark moved Creative Occasions to downtown Vinton. Does Creative Occasions Have a Particular Style? What Sets Creative Occasions Apart? Mark has also been told many times that he’s extremely easy to work with. He strives to make the process easy for his customers. He does this by responding favorably to changes, guiding couples through the process, and helping couples to implement their ideas and visions. “First and foremost, vet the person that you’re going to talk to. Check out their reviews online. Look at Facebook and Instagram to see what their social media presence is like. Then look at places like Wedding Wire and The Knot to see what kind of feedback other clients have given who’ve worked with them in the past. All of those reviews speak very highly to whether they’ve loved working with them, it was not a good process, whatever the case may be. Next, schedule an interview, never book somebody unless you’ve talked to them in person, "I would bet that in the first 3 minutes you will know whether you want to work with this person or not" says Mark. When you’re interviewing floral designers you should already have your budget in mind. Expenditure for flowers can be a hard thing to figure out and most couples planning their weddings have no idea what to expect. Mark offers to help couples with this because it is so important in terms of the floral designer being able to guide you through choices. Don't be afraid to share your budget with any wedding professional because knowing this information helps us create an outcome that fits your event. Mark also encourages his clients to create Pinterest boards that reflect the style they would like to create for their event. Pinterest can be a great resource for ideas and inspiration but keep in mind that price points are not listed and some things may not be doable depending on your budget. Mark works with his clients during their initial consultation to educated them on pricing and creating unique ideas that are within their budget. Mark has been happily married for 36 years. He and his wife have 2 children, a daughter and a son. Both of his children are married and of course Mark designed the florals for both of their weddings! When Mark has spare time he enjoys reading, particularly books that will help him grow his business. Creative Occasions is well respected within the wedding vendor community. They have a great reputation for delivering beautiful florals that are customized to meet the needs of their clients. Not only does Mark Frye have a wealth of experience, he also has a fantastic team. He has a 12 person staff and each one of them approaches every event with attention to detail and take pride in their work. Clients can have confidence in Creative Occasions given their 5 star rating on both The Knot and Wedding Wire. Thank you Mark for taking the time to meet with us and thanks for letting us share your story! Caitlin Cranwell Cheatham is the owner of Cara Cait Creative. 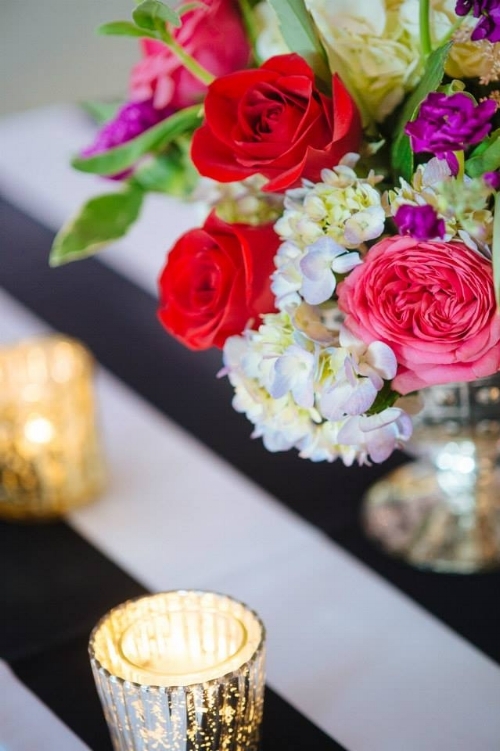 Cara Cait Creative offers floral design and event coordination. Her arrangements have a beautiful, organic style that offer a fresh take on floral design. Cara Cait Creative offers florals and event coordination but ower Caitlin limits herself to one booking per weekend. “I’ve learned that it’s best to focus on one thing and do one thing to the best of your ability and not take too much on,” says Caitlin. Her passion is in florals but she wants to make sure she helps couples and their families have the best possible experience on their wedding day. She believes in the importance of having an advocate on your special day. The scope of services Caitlin offers extends beyond weddings to parties, baby showers, even flowers for your kitchen counter. Caitlin spent years as a “lost soul,” finding it difficult to get a good job with a studio art degree in a recession. In the meantime she worked for a mortgage company as a loan officer assistant, a front desk position at a gym, and a merchandiser for Anthropology. During that time she was still searching for something she was passionate about and wanted something that was her own. This was a difficult process as she is passionate about many things: art, clothes, flowers, jewelry, interior design, and anything that is creative. I would imagine her creativity and diverse interests contribute to her fashion forward design in her florals. The idea to start her own company doing floral design came after putting together some florals for church. “Everybody kept telling me you’ll have a moment where you realize what you love and then you can finally do something you love for work. Finally one day I was doing flowers for church and it clicked. It was that aha moment. I love to do flowers. Why don’t I try and do flowers for people?” Through the encouragement from friends and other wedding vendors, she got the courage to start Cara Cait Creative. Recently being a new mom has kept Caitlin very busy. In her spare time she loves to stay active. Her favorite activities include working out and spending time outside. She loves to run, walk, and play with her dog. Family is super important and she enjoys spending time with her parents and sisters who live close by. Caitlin is very easygoing and fun to be around. Anyone who sits down to chat with her can see that. You forget you’re talking to a wedding vendor and feel like you’re talking with a friend. Her easygoing personality carries over into her business and makes her very accommodating to her client’s budget and schedule. As a free spirit she doesn’t feel the need to be too regimented or structured in what she’s creating. You would have no problems having an open dialogue with Caitlin because she’s so easy to talk to and always wants to be available for her clients. Thank you Caitlin for giving us your time and allowing us to tell your story! Sarah Pendleton, owner of Pumpernickel Pickle, used to work in the medical field as a respiratory therapist. Sarah’s husband Willie, co-owner and culinary director for Pumpernickel Pickle, has been in the catering industry for 15 years. Sarah recognized Willie’s talent and decided to leave corporate America to start their own catering company about 5 years ago. As Sarah says, “Sometimes those things pick you, you don’t necessarily get to pick it.” The decision to start Pumpernickel Pickle is a decision she does not regret and she has not looked back. Pumpernickel Pickle is an award-winning catering company whose style can be described as Southern with a twist. They have an amazing creative approach in their food presentation offering buffets, plated food, stations and family style service. During the past 5 years, their success has taken off. They currently employ 6 full time and 34 part-time employees. Due to their success, they have plans to expand regionally to Charlottesville and Lynchburg. In addition to being a full-scale catering service, Pumpernickel Pickle also offers rental pieces. They have mixed vintage China, settees, sideboards, buffets, linens, and other accent pieces to create a unique look for any special event. Customer service is important to Sarah. She makes sure to employ a staff that is pleasant and fun to work with becasue she wants all of their clients to feel special. Sarah and Willie made a very conscious decision to keep Pumpernickel Pickle mid-level. They have high quality standards and did not want to be a low-end company. However, they didn’t want to be really high-end either because they wanted to be affordable to working class and blue-collar families. They have tiered menus with different pricing to ensure that they have something to offer everyone. Sarah wants to offer the same level of service to all clients, no matter how big their budget is. “I want them to feel like a million dollars,” says Sarah. Sarah would first warn brides about reading too many wedding blogs, sites, and magazines that are filled with “fluff”. “A lot of that information that they go to automatically, especially for catering, is just a bunch of fluff. It is written by people that have absolutely no idea what in the world they are talking about,” says Sarah. She would recommend starting with an Internet search of local caterers and then start vetting the companies. Sarah says, “You can do business license searches. You can also access health inspections, things like that. That is one of the biggest things I advocate for. Any unlicensed and unregulated catering company can absolutely outbid me. But, they’re not playing by the rules. They’re not paying taxes. They’re not under the microscope of health regulations. It might seem to you that that’s worth it but in the long run the thing is you’re going to pay for it in one way or the other. You’re either going to pay for it in poor product or you’re going to pay for a decent execution, good product from a professional catering company.” Sarah also recommends talking with other vendors and having conversations about which caterers they have had experience with. The last piece of advice Sarah offers is to meet with different caterers. You want to ensure that your caterer’s personality fits with yours and that you will enjoy working with them. Also, food is subjective and different people have different tastes in regards to what they think is good. Once you choose a caterer you should be able to trust them completely and just enjoy your day. When Sarah is not working she enjoys swimming in her pool, playing video games and watching documentaries and foreign films. Sarah is also a self proclaimed “Harry Potter nerd.” Recently Sarah has started digging deep into her genealogy and has been pleasantly surprised with the amount of information and the connections she has found. She is an animal lover and advocate with a cat and 2 dogs. When sitting down to talk with Sarah, her bubbly personality and infectious laugh make her very comfortable to be around. It’s always nice when you find someone who is not only professional but relatable and fun. When you work with Pumpernickel Pickle you can expect to receive a reliable, quality product. They have won The Platinum Award from The Roanoker for the past 2 years and were awarded the Silver Award in 2015. Be on the lookout for their upcoming feature on Style Me Pretty. Thank you Sarah for giving us your time and letting us tell your story! Charter Hall is a venue that offers the appealing blend of rich history, a great central location, and modern day elegance. Located in the heart of downtown Roanoke, it is convenient to local churches, hotels, and nightlife. The space is flexible to host a variety of events including weddings, wedding receptions, proms, homecomings, reunions, corporate meetings, and fundraisers. Wedding receptions remain to be their most popular event. Charter Hall is located on the top floor of the City Market Building, which is one of the oldest buildings in downtown Roanoke. The Market Building served many different purposes over the years including a meat market, gymnasium, and a bar. In 2011 a complete renovation was done on the building and Charter Hall was created at that time. Walking in to Charter Hall, you are greeted with an entryway that includes a built-in marble top bar and coat check area. This area leads into the ballroom that has a large open area for tables with a dance floor and a stage at the front. Although there is purple carpet, the overall color palette is pretty neutral. Once you get tables in the space you don’t notice the color of the carpet as much. The rest of the décor is cream and gold. The neutral palette allows the versatility for you to dress the space up or down and give it the decorative feel you desire. When you book Charter Hall for your wedding reception it is a full day rental. All of the in-house tables and chairs are included in your rental package. There is a high quality audio-visual system available for your use. The system includes a large projector, microphones, and a Bose surround system. A catering kitchen and bridal suite room with a private restroom are also included in your rental. In a formal wedding reception with round tables, holding 8 people each, Charter Hall can accommodate up to 240 guests. If you are booking Charter Hall for your wedding and reception it is a 2-day rental. With this package you have the option to rent the 2nd floor mezzanine for a cocktail hour. If you choose to do a 2-day rental with the wedding and reception at Charter Hall, the number of guests must be limited to 150, due to the size of the mezzanine. They do not place vendor restrictions. This gives you the flexibility to bring in the vendors you want to work with. Charter Hall is in a great location in the heart of downtown Roanoke. There are two parking garages and street parking right next to the Market Building. This makes it convenient for your guests to park. The central location is also convenient for guests traveling to Charter Hall from wedding ceremonies at local churches and other locations downtown. There are also hotels available nearby. When you walk off of the elevator at night you can see the Roanoke star. You step out of the building and right into the vibrant activity of Market Street. The pricing to rent Charter Hall is a package price. There are no extra fees or risk of added costs. Their price is comparable to other locations downtown. Thank you to Event Manager, Kalee Freedy for taking the time to meet with us and give us more information about Charter Hall! Pearl and Jonathan chose a lovely rustic four tier wedding cake decorated with raffia and fresh flowers. I love the custom wooden cake topper and their fun setup for the cake. The cake sat behind their sweetheart table on the stage and was truly the centerpiece for their wedding reception at Sinkland Farms. 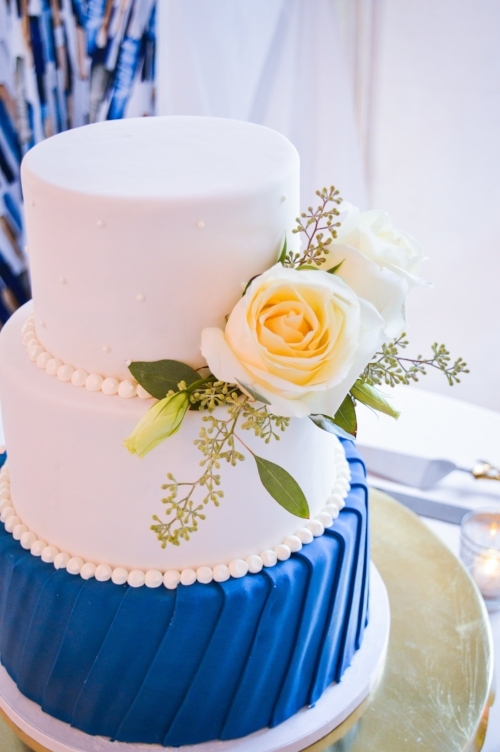 The cake was displayed on a white wooden door and surrounded by an antique window and beautiful flower wreath. Congratulations to the happy couple! This lovely wedding was also featured on Wedding Chicks check out the blog post here! 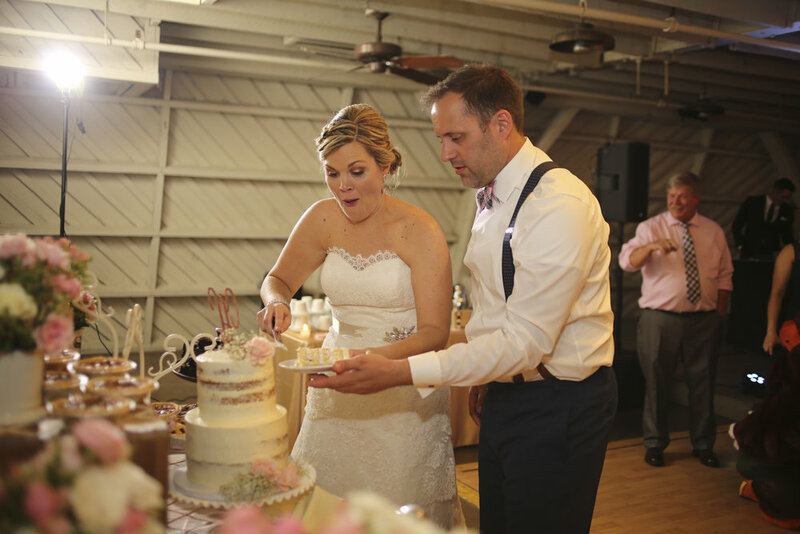 Thomas and Jessica were so much fun to work with planning their wedding desserts. They had a beautiful wedding in downtown Roanoke on the rooftop of The Center in the Square building overlooking the city. An elegant two tier chocolate wedding cake decorated with buttercream dots and sugared beads was the centerpiece of their dessert table. Guests enjoyed red velvet cupcakes with cream cheese icing as well as strawberry cupcakes with buttercream icing. I love the shimmering table linen paired with the bamboo trays and little flavor signs. 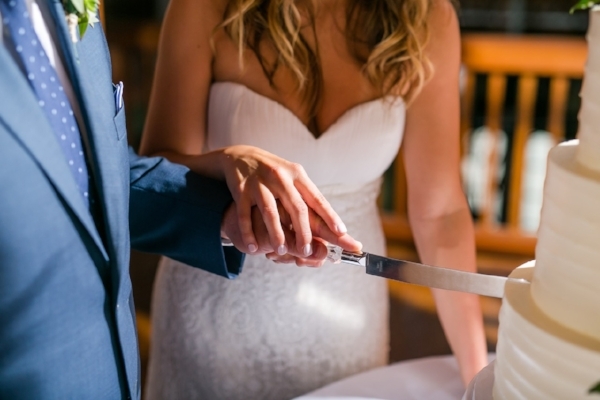 What wedding is complete without a great cake cutting photo? They are so happy! Rainbows are said to be a lucky omen on your wedding day. I don't think they will need luck, you can tell that these two are in LOVE. To see more photos of Jared Ladia's amazing photos of Jessica and Thomas check out his Blog. A Tale as Old as Time...Semi naked wedding cake with an assortment of fresh berries and red cherries topped with a Beauty and the Beast topper. Happy Thursday! Excited to share this non-traditional wedding cake on a non-traditional day of the week. Chocolate cake with chocolate filling and lemon cake with raspberry filling decorated with smooth buttercream. The couple met through the fire and rescue department and the other logos represent their favorite sports teams. All of the logos and decor are edible! Aimee and Earl were the best couple to work with for their wedding planning. 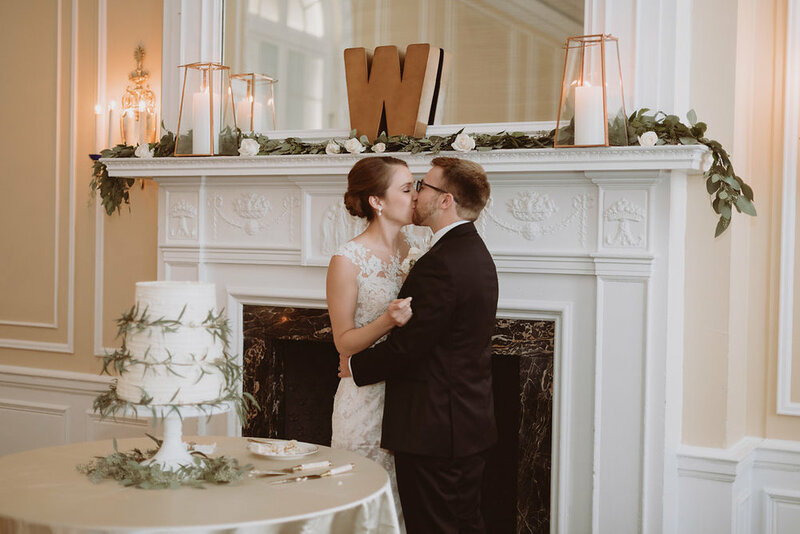 For their wedding they wanted to give their guests several options for dessert so we created a custom dessert bar to reflect their favorite desserts. 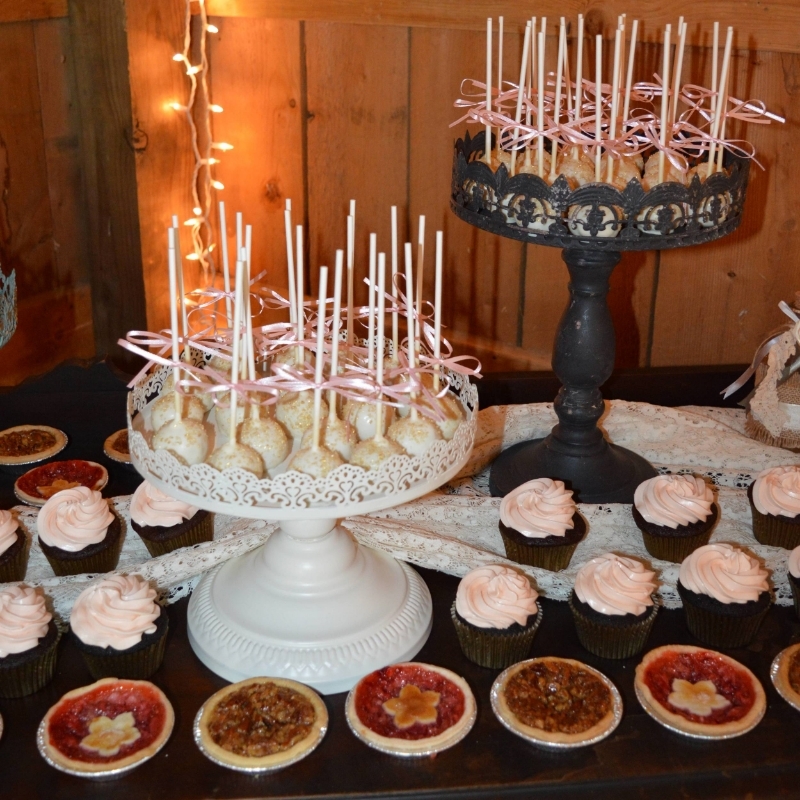 Individual pecan and strawberry pies along with lemon cake pops and chocolate cupcakes. I adore the setup for the dessert bar. Aimee rental a beautiful vintage dresser to display all the yummy desserts. To compliment the dessert bar, I created a small two tier wedding cake for the cake cutting ceremony. The cake was vanilla bean filled with strawberry filling and it was decorated with a hand-painted floral pattern and fondant ruffles topper with two "Love Bird's."